The Youth Justice Club quickly garnered broad interest, and in 2017, only a few years after the club was founded, Carvente spoke with James LeCain, the director of the Brookwood College program, which is the same program that helped Carvente get accepted to John Jay while he was still incarcerated. After that conversation, the Youth Justice Club was invited to Brookwood’s annual We the People debate, hosted in collaboration with the Center for Civic Education. It was the largest debate that Brookwood ever hosted, and for the first time ever, John Jay students participated. Coincidentally, they won. For Carvente, watching the debate was sublime. “It took a lot for me to not break down in tears,” he said. “It made me think about my journey, from being incarcerated at Brookwood, to becoming a college student at John Jay. It was coming full circle.” Due to the event’s success, the club’s current student leader, Emily Bustamante, is now in discussion with the Brookwood College Program to ensure that they’ll be able to repeat the event next year. With years of professional experience, Carvente is a valuable advisor for the Youth Justice Club. 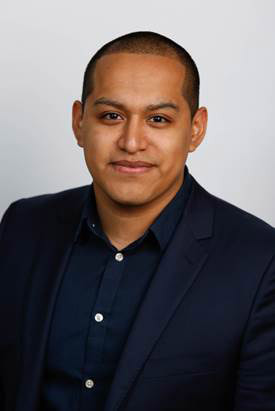 While still a student at John Jay, Carvente became an intern with the Vera Institute of Justice, and once he graduated, Carvente was offered a full-time position. During his five and a half years at Vera, Carvente served on various boards on the local state and federal level, including two boards he was appointed to by Governor Cuomo, as well as boards with the Annie E. Casey Foundation. He also traveled around the country delivering talks on justice. “Part of my message was my story, and the other part was about not seeing young people for the worst thing they’ve ever done,” he said.